Salisbury, Fordingbridge, Shaftesbury, Gillingham, Tidworth, Andover. If you live in any of these areas and you’d like more information about our membership packages, please don’t hesitate to contact Debbie. 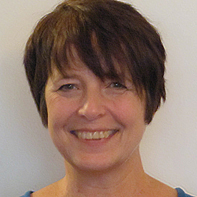 Hello, I’m Debbie and I look after members living in the whole of the Salisbury postcode area which, as well as South Wiltshire, covers Fordingbridge, Andover, Tidworth, Shaftesbury, Gillingham and the surrounding areas. Are you fed up with your own company and missing that special someone in your life? Do you want to say goodbye to spending too much time at home alone? Do you want a more fulfilling social life? Perhaps you are fed up with internet dating; spending too much time trawling through countless profiles, meeting somebody who bears no resemblance to their description or photo, or find that people are less than honest about their age or single status! Would you like the peace of mind of knowing that the people you meet have been interviewed and vetted in their own homes? Are you looking for a different kind of introduction agency, one that is caring and confidential, an ‘offline’ agency that will not publish your details online? If any of the above apply, Just Introductions is for you! We are proud to offer members of all ages a personal and discreet introduction service for romance or friendship with continuing help and support. In addition to one-to-one introductions, we also have regular events where members can enjoy socialising in a relaxed, friendly environment. These events are open to members from all areas so that you can to get to know people in a group setting and provides a fun and sociable way to meet that special person or to make new friends. I understand that some of you might feel apprehensive about attending an event (especially for the first time) but please be assured that nobody is left on their own and that we make a special effort to make everyone feel welcome. You will also receive a monthly newsletter that provides everything you need to know on all our events as well as details of new members. We have many success stories but don’t take our word for it, please look at the testimonials of just some of the happy couples that have got together thanks to Just Introductions. I would be delighted to hear from you and would love to have the pleasure of welcoming you to Just Wiltshire Introductions. What are you waiting for? Please call me or send me an email today!